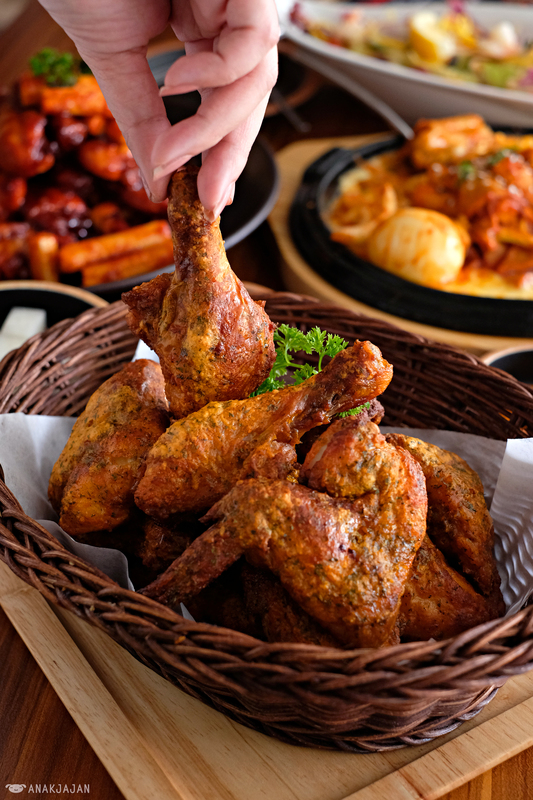 Anyone who crave for Korean fried chicken?? We got you a new recommendation, a healthier version but still tasty, Korean oven roasted chicken at Goobne Chicken in in Pantai Indah Kapuk (PIK) area. Originated from South Korea, during our visit to Hong Kong, AnakJajan stumbled upon Goobne’s outlet in Tsim Sha Tsui if we’re not mistaken. We almost give it a try since we were craving for Korean food, blame all the Korean drama and shows hahaha, but bailed due to limited tummy capacity. 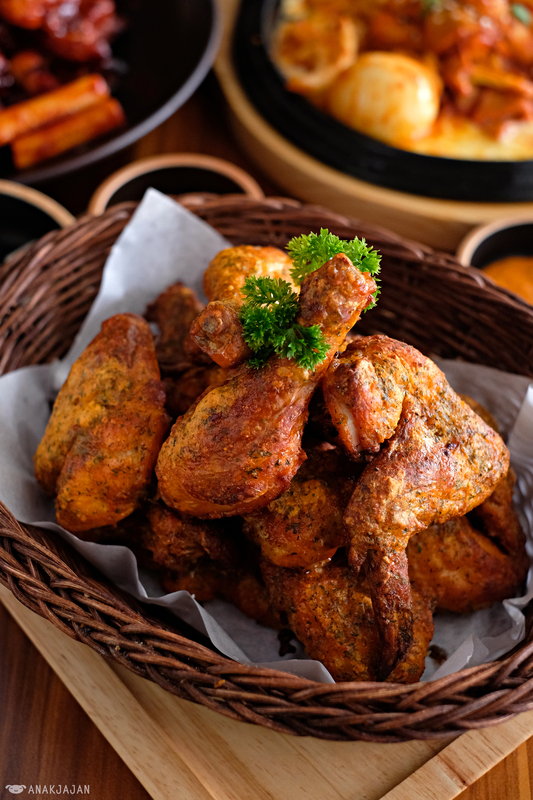 AnakJajan just found out that Goobne’s concept is a bit different compared to other chicken restaurant because instead of deep frying, they offer chicken baked in oven with no oil. 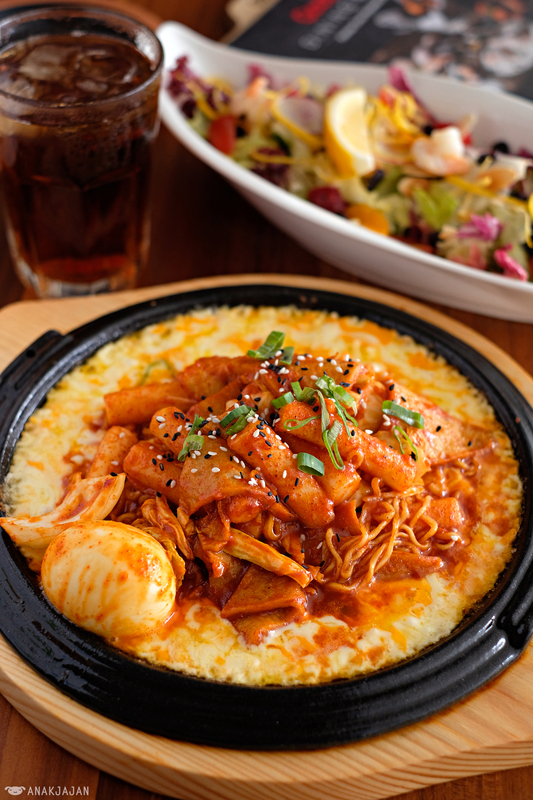 They have plenty options of menu besides chicken like tteokbokki, rice, noodle, etc as well. To start the meal, AnakJajan had their Mediterranean Salad which consists of mixed vegetables, fruit, shrimp and lemon dressing. 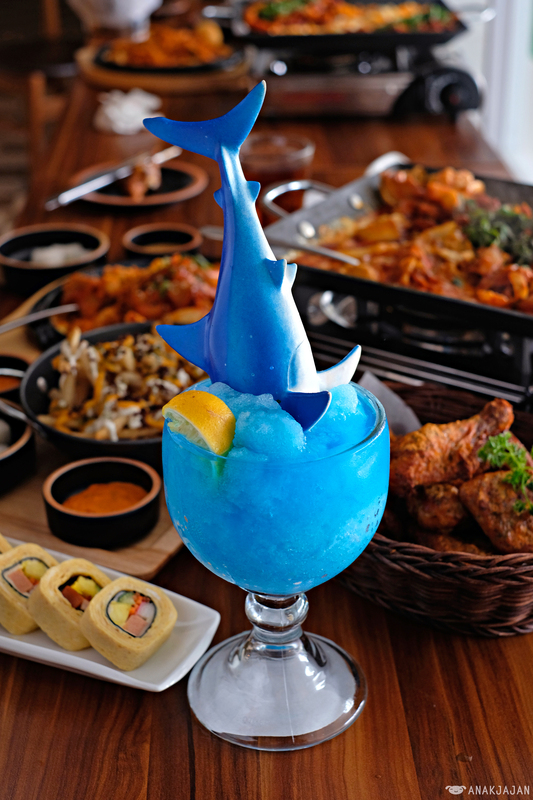 The refreshing tasty taste was super appetizing, it brings out the appetite instantly. Sweet tangy but just in the right level. Imagine Korean kimbab but in egg roll version, boom!! You got an omelette roll filled with vegetable, crabmeat, chicken spam, radish pickle, nori seaweed and vegetable. Soft fluffy on the inside with mix of textures on the inside. Goobne Deep Cheese and Pepper Crispy are two of their best selling item. AnakJajan had their Pepper Crispy where the oven baked chicken was covered in thin layer of batter. To our surprise, even though it was oven baked with no oil, the batter was crispy on the outside. It has subtle aroma of spices, exotic but in a good way. The best way to enjoy it is by dipping it into their special secret sauce that tastes creamy and tangy. Lucky us we visit just in the right time when they launched another new item. Goobne Korean Galbi Sauce which has a perfect balance of sweet and savory for us personally. Aside from oven baked with no oil, AnakJajan found the way they maintain the moisture of chicken while cooking it is pretty impressive, even the chicken breast was very juicy. As the name suggests, Goobne Volcano is very spicy, we got a nice strong kick of chili on each bite, hot spicy but not burning and still in enjoyable level. If you have a high tolerance for spicy food, go for Extreme Volcano for double spicy sensation. So basically chicken dakgalbi is Korean spicy stir fried chicken dish, the chicken was marinated with spicy and sweet chili paste and cooked with cabbage, onion, sweet potato, rice cake, and cheese in iron plate. The cheese was very tasty thanks to the use of 3 kinds of cheese, the creamy cheesy taste was perfect to balance hot spicy taste from chicken. The blue curaçao cocktail has a rather unique and uncommon presentation. 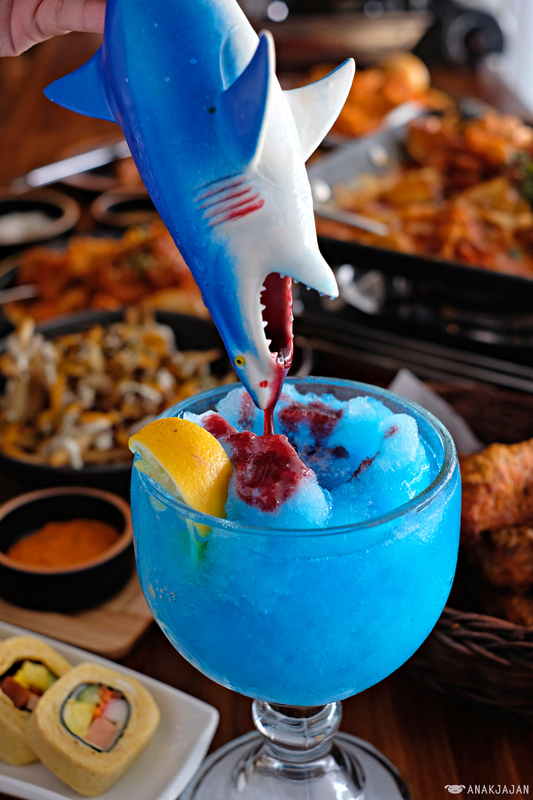 There’s red syrup inside shark-shaped container and you have to pour the syrup and mix it with the cocktail in order to enjoy it. Fyi it’s available in alcohol version too. 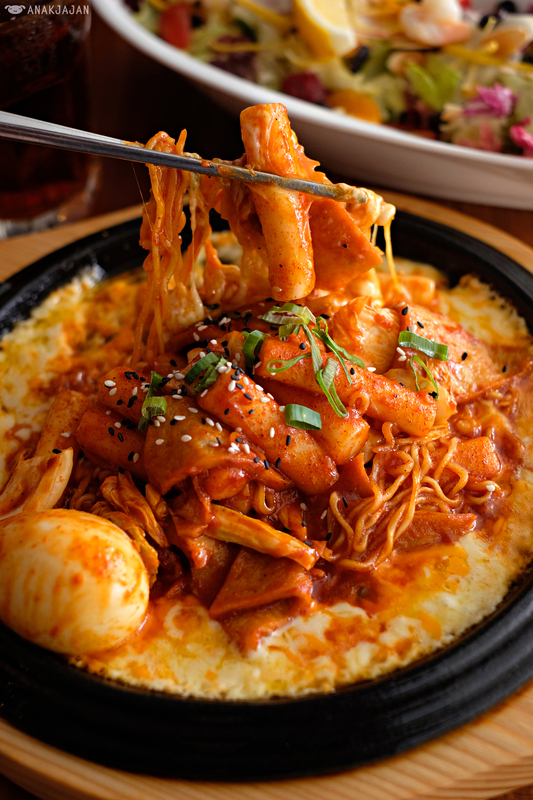 For creamy cheesy version of tteokbokki, Goobne makes a good one. Huge portion followed by festive taste, savory, sweet, mild spicy, creamy, and cheesy in each bite. It was bold and rich but kinda addictive. Overall, offering a healthier version of Korean chicken, Goobne’s creations were honestly pretty impressive. The food was nicely executed, juicy chicken, well balanced flavor, unique and different menu. We’re curious about their Deep Cheese chicken, will definitely schedule another visit to try it next time.